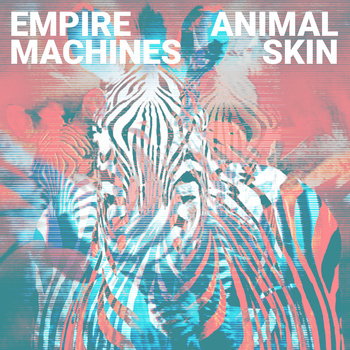 Austin based Empire Machines have released their new EP ‘Animal Skin’ which is available now on digital download, with the CD and vinyl versions set to be released early in March. Matt Blackwell (Vocals, Guitar), Trey McKinley (Bass), Bruce Smith Jr (Guitar, Keys, Backup Vocals) and Matt Reynolds (Drums, Backup Vocals) are four piece indie rock outfit that began in Austin, Texas in late 2009. The band’s self-titled debut EP was released in November 2011. The 3 track EP opens with the title track ‘Animal Skin’ that starts off with a delicate guitar before the full sound of the guitars explode into the track, with a hypnotic rhythm section over melodic vocals to give the track a lush sound. ‘Wanted Way’ has vocals that soar over a melodic guitar, which has catchy hooks through the entire track. ‘The Plan’ has a faster beat to the track that has more of that great guitar sound from the band, along with harmonies that powerfully intertwine during the chorus. All 3 tracks are excellent, which has an undercurrent of rock but at the same time also has a slight indie feel about them and are full of a rich sound throughout.